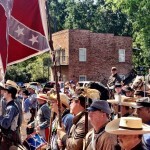 Civil War Living History-Day of Learning will take place on Friday, May 3, 2019, at the Diamond Don RV Park. Special pricing for school groups and families of $3 per person. This event is open to the public. Add an optional Train Ride and hear about the Andrews Raid & The Great Locomotive Chase, the Civil War’s most gripping railroad story, for additional $5. (Train ride seating is limited, so please call for reservations 903-742-2041) There will be living history camps, more than 20 educational stations, cannons, gunboat, alligator viewing, crafts and games. 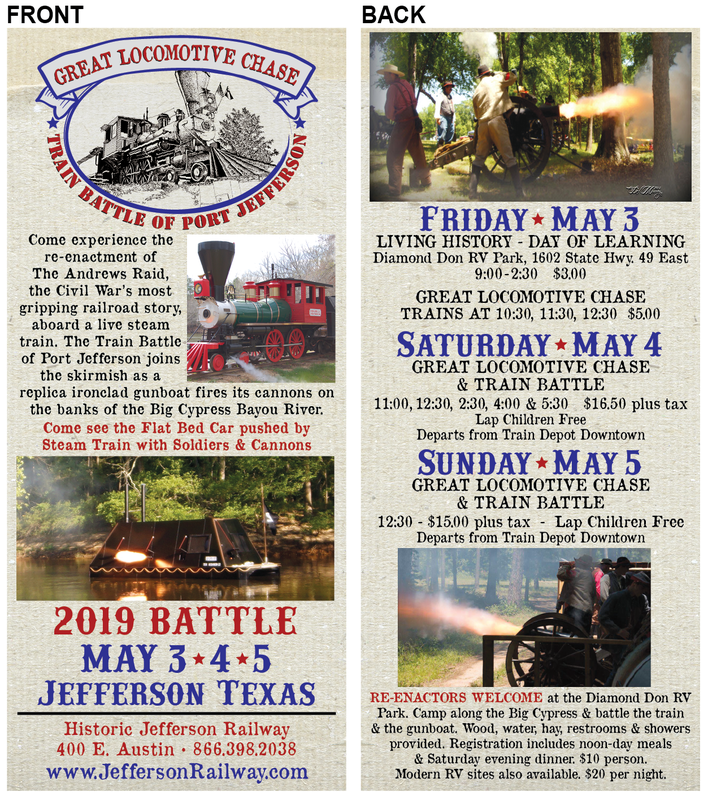 The Great Locomotive Chase will be held on Saturday and Sunday, May 4 & 5 at the Historic Jefferson Railway in Downtown Jefferson. The Historic Jefferson Railway recreates the battle of the The Andrews Raid & Great Locomotive Chase with reenactors from the North and South. The living history camps along the Big Cypress Bayou come alive as the cannons fire and the battle rages to gain possession of the train. The Virginia, a civil war ironclad replica complete with five working cannons, joins the skirmish firing its cannons on the banks of the Big Cypress Bayou River. Scouting probes and skirmishes can be viewed by riding any of the Steam Train rides scheduled on Saturday and Sunday. Train tickets are $16.50 Saturday and $15.00 Sunday per tax (lap children free), available online but space is limited so get yours now. Click here for train tickets. 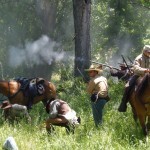 There are a lot of other activities for reenactors at the Diamond Don RV Park including living history camps, sutlers, Saturday evening ball, cannon night firing and fireworks. The RV Park will be open to the public on Saturday 11:00-5:00 and Sunday 11:00-1:00. The Saturday evening ball is for registered reenactors only (included in registration). Reenactors are welcome to camp at the RV Park which will have a designated period camping area (included in registration) as well as modern camping (for an additional fee). The public is also welcome to camp in the modern section of the RV Park. Join us for Jefferson’s Pilgrimage and Civil War Weekend May 3 through 5, 2019. Re-enactors can camp free at Diamond Don RV Park with lots of space, trees and plenty of amenities for re-enactors, including free WIFI, water, hay, split wood, restrooms, showers and powder bounty – wagons, guns and cannons. Registration fee is $10, per military or civilian reenactor and includes military camping, noon-day meals, Saturday evening dinner and ball. Limited RV sites with water and electric are available to re-enactors for $20, per night. Call or text Melissa for reservations. 903-742-2041. Participation in train skirmishes on Saturday and Sunday is required in order to receive these reenactor amenities. 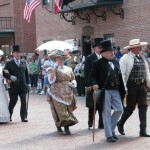 All reenactors are encouraged to participate in Friday’s Day of Learning-Living History. For those with physical limitations, you can participate in the train skirmishes right from your campsite along the Big Cypress Bayou. The Andrews Raid and Great Locomotive Chase will be held on Saturday, May 4, with live steam train rides departing from the Historic Jefferson Railway in downtown Jefferson at 11:00, 12:30, 2:30, 4:00 and 5:30; and Sunday, May 5 at 12:30. Ticket price is $16.50 Saturday and $15.00 Sunday, plus tax. Lap children ride free. Friday, May 3, there will be a Day of Learning for school groups, sponsored by the Jefferson Railway and Wetlands Foundation, to draw attention to the history and romance of the Civil War way of life. The Living History Camps will demonstrate Camp Life and Military Activities and includes a train ride aboard the Historic Jefferson Railway as the story of The Andrews Raid unfolds alongside the Big Cypress Bayou. See a gunboat with real live cannons. Visit Diamond Don Gator Pit with live gators and see ruins from the 1800’s. Price for Living History is $3 per student; train ride is additional $5 per student. Experience true civil war scouting probes and skirmishes aboard the Historic Jefferson Railway’s train. 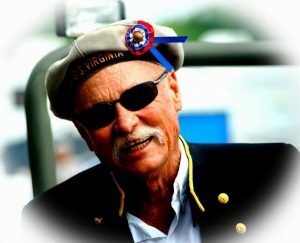 Keep your seat on the train as you see history in action near the railroad track and see the gunboat engage in battle with the train. 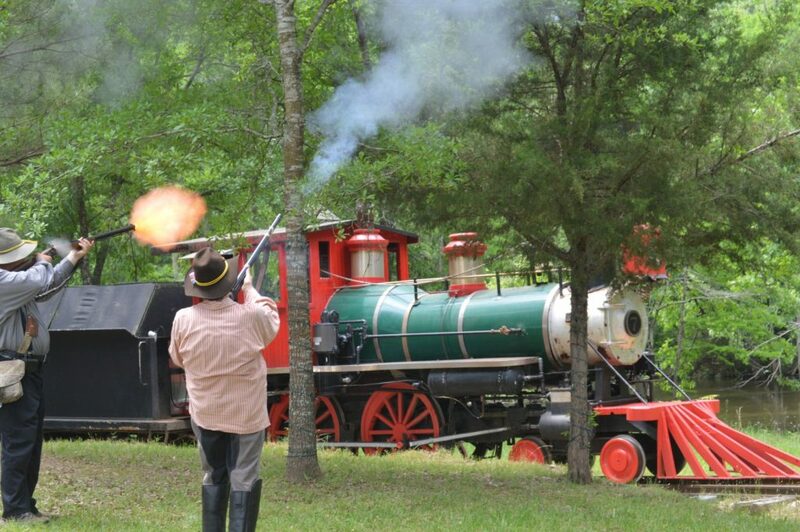 Take a step back in time as the Historic Jefferson Railway takes you on an excursion that circles the Piney Woods along the scenic Big Cypress Bayou. You’ll view a Confederate Powder Magazine from the Civil War era and remains of many sites from the 1800’s still visible along the track. The live steam train is a restored antique Crown Metals built in 1964. The open-canopied observation cars provide an excellent view of this exciting event along the river. Imagine being carried back to the year 1864! 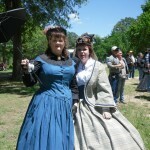 The first weekend of May every year, the whole town of Jefferson, Texas is transported back to that time when the Civil War was coming to a close. 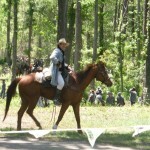 For many years, the Marion County Chamber of Commerce hosted the Battle of Port Jefferson, a Civil War Reenactment, possibly the largest in the state of Texas. This year, the Chamber is supporting Target Jefferson Texas, a Red River Campaign Objective, in conjunction with the Great Locomotive Chase held by the Historic Jefferson Railway. The battle reenactments are hosted by the Blue Gray Alliance, Cleburne’s Divison. Downtown Jefferson is overtaken with people walking the brick-lined streets in period clothing, and here and there you’ll also see re-enactors riding around town on horseback. 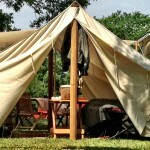 You’ll experience living history and what it’s like to see historic type tent avenues filled with folks sitting by the fire sharing stories and tales of battles fought and those to come. In these encampments, you’ll see cooking items from the past being used today. In fact, everything is of a historic nature, from the tents to the cots and bed-rolls, buckets, pots and dishware from the past. You can see these tent camps all over town, stop by and talk to the re-enactors if you get a chance – they love to share with civilians. Be sure to stop by any of the Sutler’s tents to buy some of their wares. The Union mounted several attempts to capture the trans-Mississippi regions of Texas and Louisiana from 1862 until the war’s end. With ports to the east under blockade or captured, Texas in particular became a blocking-running haven. Referred to as the “back door” of the Confederacy. Texas and western Louisiana continued to provide cotton crops shipped to Europe by means of blockade runners in exchange for supplies. The Union’s disastrous Red River Campaign in western Louisiana, including a defeat at the Battle of Mansfield, effectively ended the Union’s final invasion attempt of the region until the fall of the Confederacy. Had the Union soldiers not been stopped at Mansfield, they would surely have been looking upriver to Jefferson, a major river port of the time. Jefferson now takes that history and brings it to life each year.